That’s how it all began! Jessie and I, along with Bill and Alma Strachan from Glencoe, flew to Berlin on Burns weekend - memorable for a number of reasons. 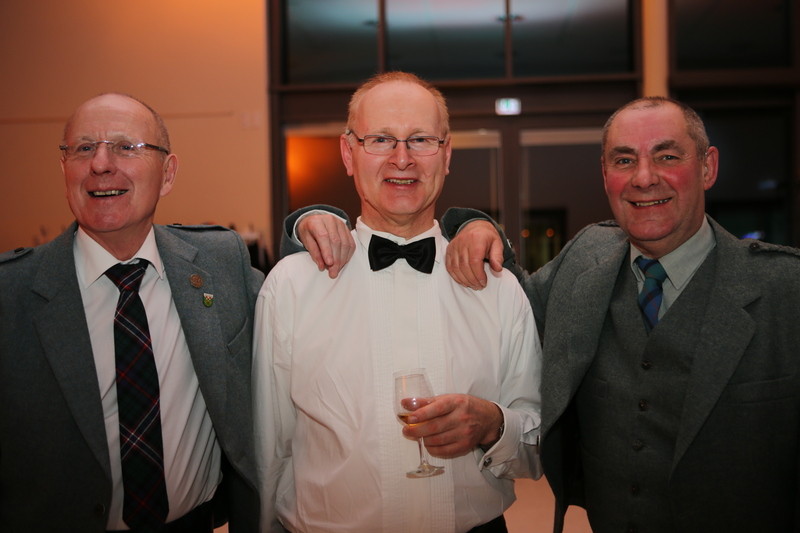 Although there have been many group and individual visits over the years since the Galston-Ahrensfelde Church Partnership was established in 1987 this was the first ever Ahrensfelde Burns Supper. As always, we were greeted with open arms and well looked after. The intense cold was our first impression - minus 15 degrees for our four days and our aircraft had to be de-iced for our return journey! We took greetings from John McCracken, President of Kilmarnock No. 0 Burns Club along with cards and letters from the Robert Burns World Federation, Irvine and Ayrshire. And we transported the haggis as well – all the way from Galston! The town’s new town hall was the venue and the tables had a truly Scottish flavour for the supper. A trombone band provided the music which included Highland Cathedral for the carrying-in of the haggis. Bill said the Selkirk Grace, addressed the haggis and entertained with Holy Willie’s Prayer with Wolfgang Reichelt and Annette Gnilitza addressing and replying to the lasses. Jörg-Arno, who organised the whole event, gave an excellent illustrated immortal memory for the Bard and although, no doubt, much of what was being said was lost in translation, all 80 who attended had a great night. There was time, of course, for fellowship in the homes of Evelin and Wolfgang and Jörg and Heike when we met many folk encountered over the years of the partnership - and we had time also to venture into Berlin on the S-Bahn as well as attending morning worship in Ahrensfelde Church.